If you’re looking for some wholesome family fun, Lake Leatherwood City Park has everything you need and more. The historic park has been a Eureka Springs recreation landmark for decades, with 1,610 acres of recreational outdoor space. The activities at the park are endless, but the most eye-catching feature is located between the cabins and the bathhouse. You can’t miss the brand-new, state-of-the-art playground. Built just last March, the playground is the best you’ll find in Carroll County. It features several slides, a bridge and enough swings for the whole family and then some. Parks director Justin Huss said he’s especially fond of the raft swing, which bounces around like a whitewater raft when you move the ropes around. The most important thing, Huss said, was to have high-quality swings, and a lot of them. While planning the playground, Huss said, he doubled the amount of swings and added a few new types, too. One of the swings allows a parent and child to swing together, meeting the needs of children with disabilities. The entire playground is ADA-accessible, built to accommodate all visitors to the park. The merry-go-round and the swing sets have specific ADA functions. The color scheme of the playground, green and brown, evokes the nature surrounding the structure. The structure is huge, Huss said, but he wanted it to blend into the background as much as possible. “We didn’t want it to overpower everything else,” Huss said. Other recreational activities at the park include boating, hiking and camping. There are several boats for rent at the marina, including paddle boats, paddle boards, canoes and row boats, kayaks and fishing kayaks. Rental prices are reasonable, giving you a chance to get on the water for hours at a time without worrying about the cost. If you enjoy fishing, the park provides a paved boat ramp and a handicapped-accessible kayak and canoe launch. The waters of Lake Leatherwood are home to bluegill, crappie, bream, largemouth bass and channel catfish. You can find bait at the well-stocked bait shop, offering fishing poles, bait, tackle and a surprising assortment of sundries. There are more than 25 miles of trails at the park. Some of the trails are easy, and some are a little more difficult. But rest assured, you’ll be able to find something that works for everybody. For those interested in staying overnight, the cabins are being renovated and there are spaces for tent camping and RV hook-ups. The park has everything the whole family needs to have fun, so come check it out! 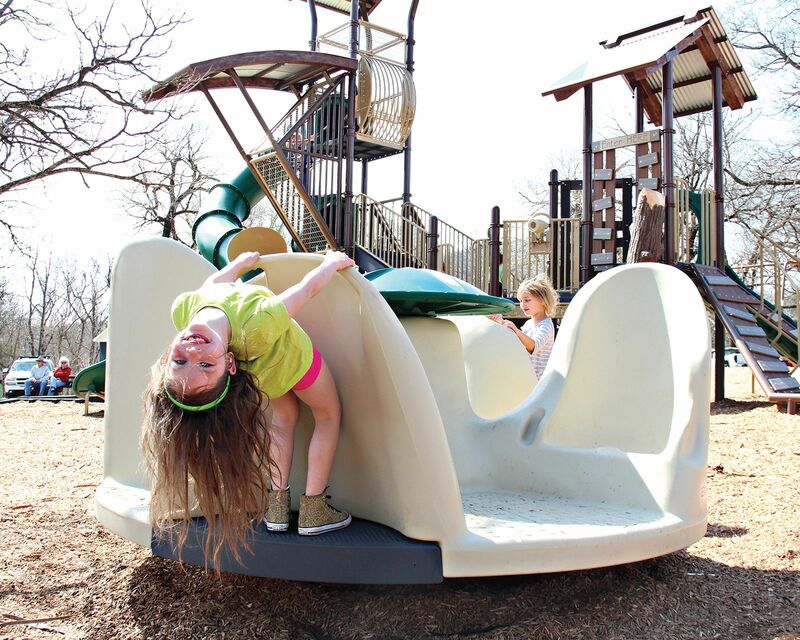 The park has everything the whole family needs to have fun, so come check it out!